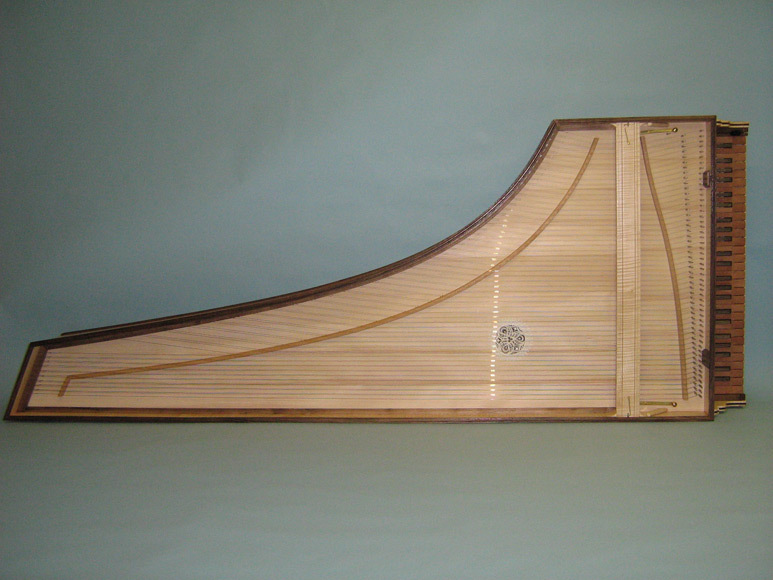 With machine stop, trolley wheels, block printed paper surrounding the soundboard. 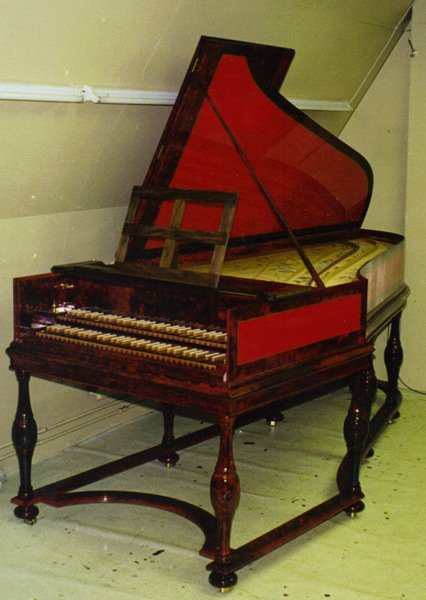 Same colour as the original (red). Because the two 8? registers are both plucked in front of the 4? register, the sound is more nasal and penetrating. 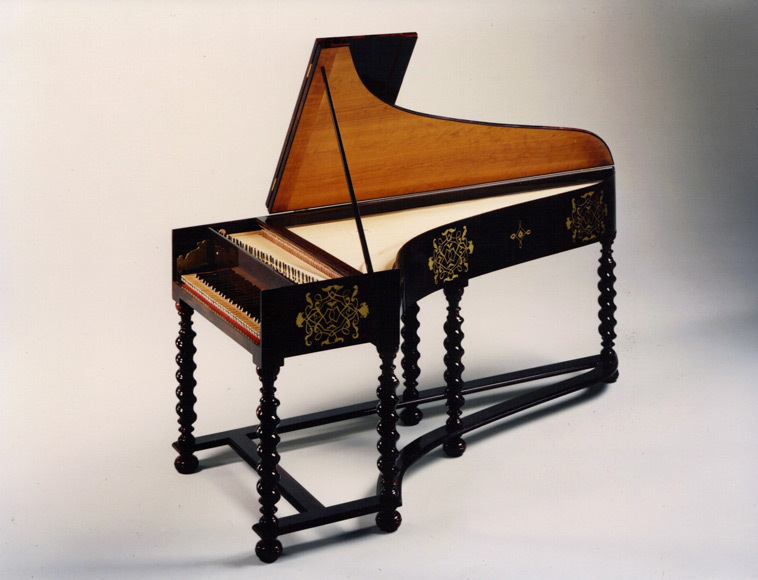 Double-manual harpsichord after Ruckers 1624. 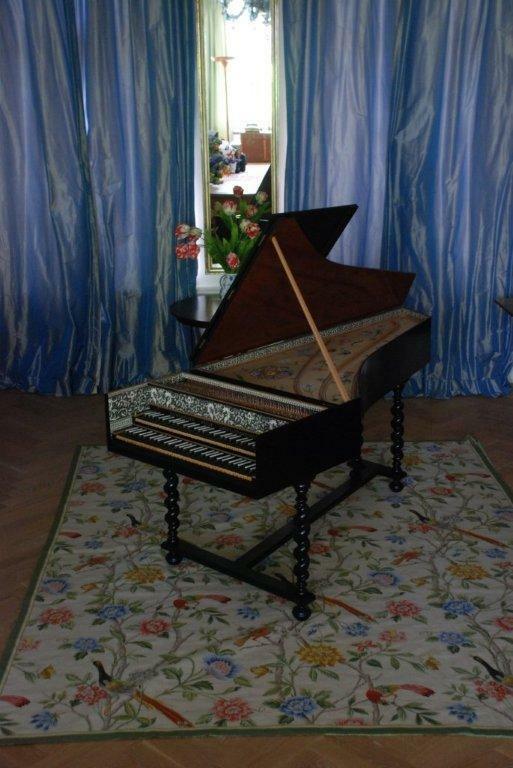 Source: Museé Unterlinden, Colmar, France. 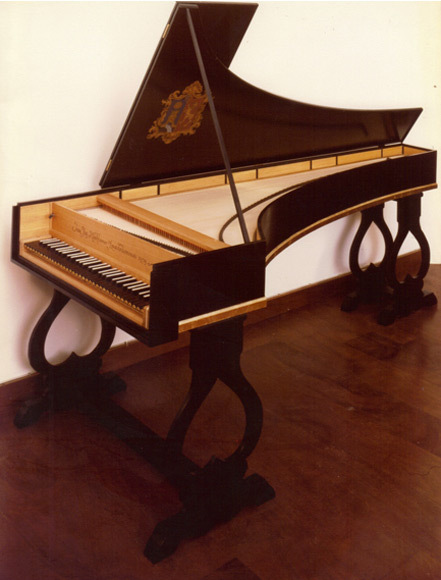 Double-manual harpsichord after Claude Labreche, Carpentras 1690. 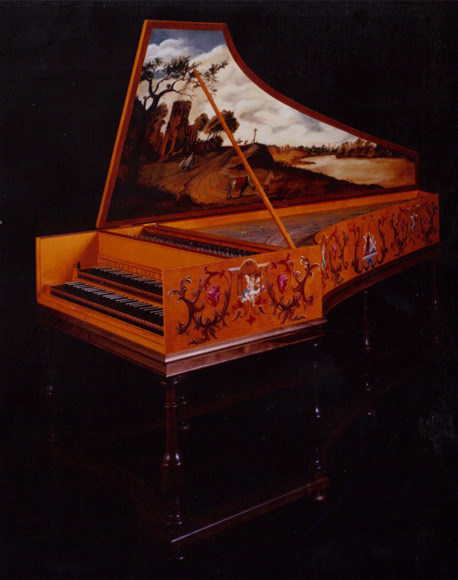 Source: Landesmuseum für Kunst und Gewerbe in Stuttgart, Germany. 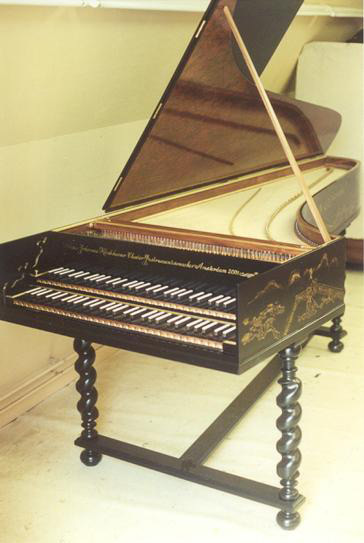 Single-manual harpsichord after Vaudry, 17th century. 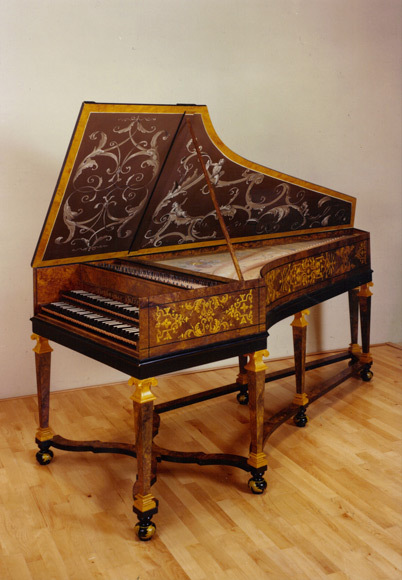 Double-manual harpsichord after Hieronymus Hass. 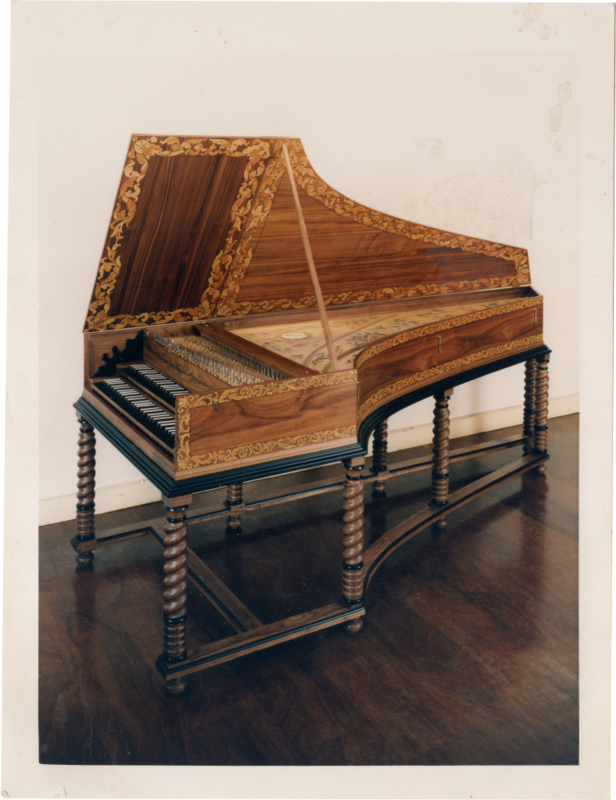 German single-manual harpsichord after Friedrich Ring, Strasbourg 1700. 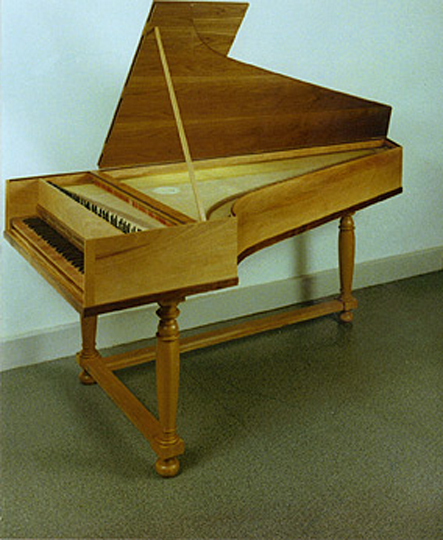 Source: Landesmuseum für Kunst und Gewerbe, Stuttgart, Germany. 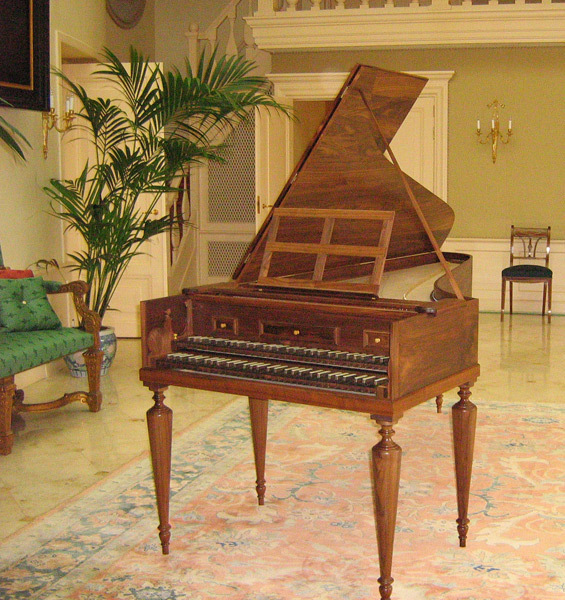 Built in natural, varnished wood. 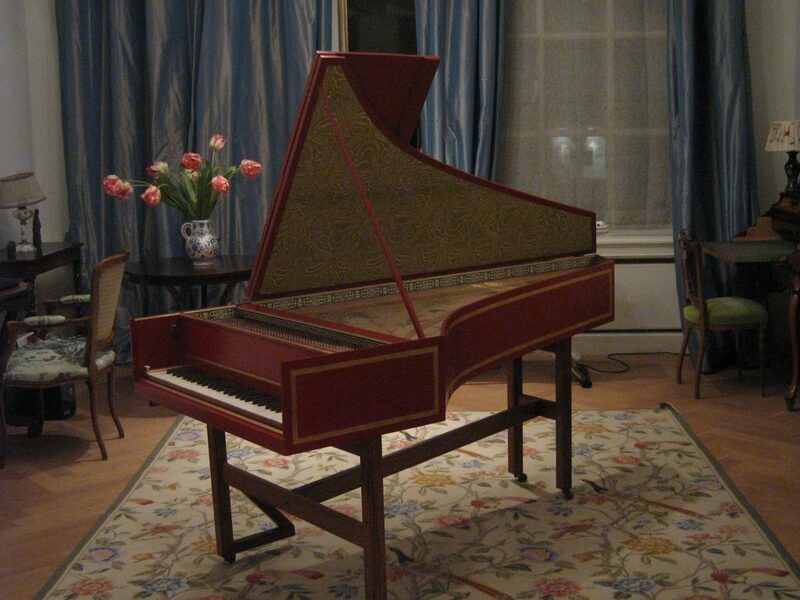 German single-manual harpsichord after Michael Mietke, Berlin 1710. Painted black with chinoiserie, other decorations possible. German single-manual harpsichord after Christian Vater, 1738. 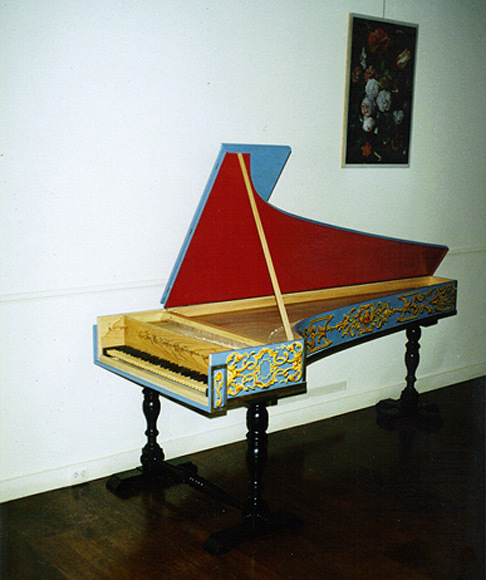 Single-manual Italian harpsichord after 18th century examples. 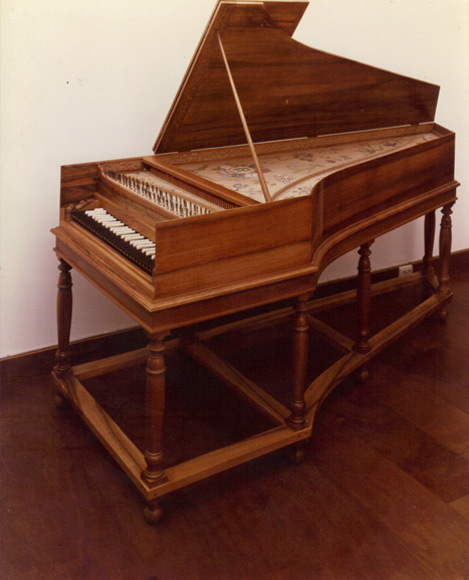 Iberian single-manual harpsichord, J.J. Antunes 1789. 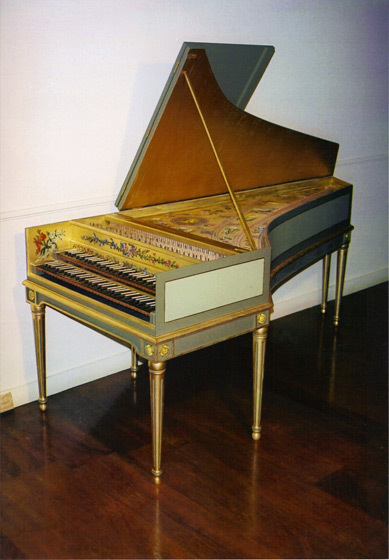 Source: Conservatorio de Lisboa, Portugal. Double-manual harpsichord after Spanish examples.